This rare geometric coffee / side table was made in Italy in the late 1940s. 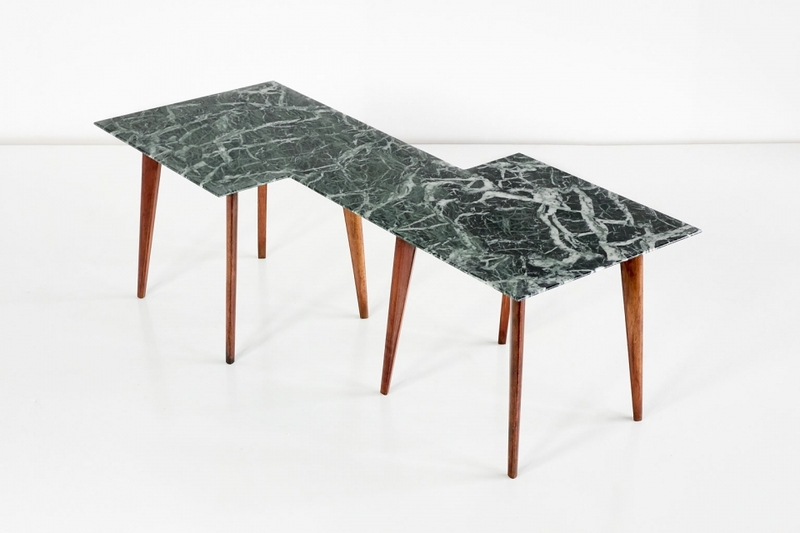 The top consists of a single slab of green marble plate and offers a striking veined pattern. The top is supported by two sets of four distinctively tapered legs in walnut. This table is an eye catching example of the elegance and craftsmanship of Italian design of the late 1940s.